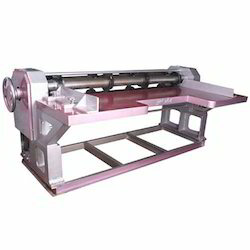 Rotary Cutting & Creasing Machine Exporter of a wide range of products which include rotary die cutter, four bar rotary cutting machine, 4 bar rotary cutting & creasing machine, rotary slotter machine, 4 bar rotary cutting machine and trimming and creasing machine. 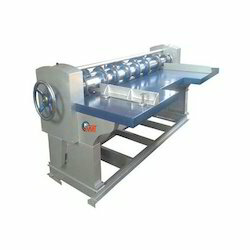 Suitable for cutting and creasing the corrugated Boards. 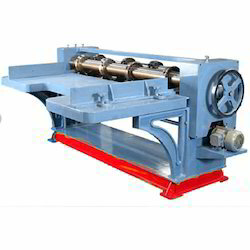 The machine is fitted with 4 bars(2 in front & 2 in back) front bars are fitted with cutting dies and the rear bars are fitted with creasing dies, side wheel adjustment is provided for increasing and decreasing the height as per requirement.